Bob Gurley: "PFP can beat the Russians." It can be really hard for the government to share information with citizens and businesses, for many reasons. We all wish it was easier, but the fact is that complex rules and regulations and the need to operate with some degree of certainty combines with the need to protect sources and methods… It can also take time before information is of a quality to be shared, and that can mean that attacks from adversaries that are underway can make great progress in their nefarious activities before the government alerts. Proof of that is a government announcement titled Russian State-Sponsored Cyber Actors Targeting Network Infrastructure Devices. They are not sugar coating this at all are they? ​​PFP Cybersecurity, a leader in embedded cybersecurity for IoT devices, will present "IoT Security – Power Analysis and AI" at the ST Developers Conference in Santa Clara, California, September 6, 2017. PFP's CEO Steven Chen joins other cyber security thought leaders to present an interesting and unique approach to today's problems at 11:45 am – 12:25 pm in the Mission City Ballroom. According to Steven Chen, "PFP Cybersecurity's unique approach for embedded integrity assessment utilizes side channel information, such as instantaneous power consumption to derive information about the internal execution status of the user's ST Micro processor." ​​PFP Cybersecurity is proud to welcome Rick Gordon to our Advisory Board. Rick was one of the founding partners of Mach37, a cybersecurity accelerator focused on creating companies that will deliver the next generation of cybersecurity solutions. Prior to founding Mach37, Rick was COO at Lookingglass Cyber Solutions and he was also a Managing Director at Civitas Group. Rick serves on a number of advisory boards, including AlphaTech Group and the United States Naval Academy Center for Cyber Security Studies. He is also a member of the Board of Directors for Atomicorp, and is a Steering Committee Member for the Security Innovation Network. 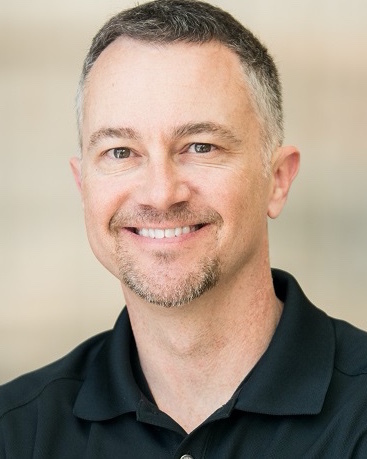 ​​PFP Cybersecurity is proud to welcome Scott Sanders to our Advisory Board. 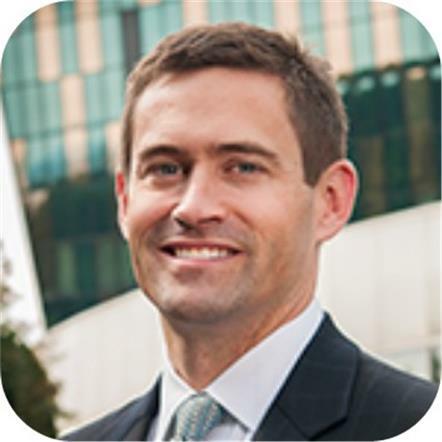 Scott is the President and CEO of Prosim Advisory, a boutique consulting firm that provides strategic advice to private equity, venture capital firms, and CEOs of early-stage companies. Prior to that, Scott was SVP/GM of Verisign's security business, as well as head of strategy for the company. Scott is a venture partner with Blu Venture Investors, and he serves on a number of advisory boards for early-stage companies. He is also a member of the Board of Directors for the National Cybersecurity Society, a D.C. based non-profit dedicated to keeping small businesses safe online. ​​PFP Cybersecurity, a provider of unique, physics-based anomaly detection technology, today announced it has been awarded a Defense Advanced Research Projects Agency (DARPA) contract for Leveraging the Analog Domain for Security (LADS) program to study advanced solutions that provide a new category of threat intelligence and detection to identify today’s most sophisticated IoT and embedded system cybersecurity attacks. Gordon R. England, chairman of PFP Cybersecurity, will become the Academy’s eleventh chair, elected for a two-year term. The chair works with the NAE president to promote the Academy and its policies to the engineering community and the public. England is also chairman of the board of V1 Analytical Solutions and a partner of Dyno-Tech, LLC. Joining the Board are Dave Merkel , former CTO at FireEye and Mandiant, John Czupak, former General Manager at Cisco, Todd Headley, former CFO at Sourcefire and Robert D. Rodriguez, Chairman and Founder of the Security Innovation Network (SINET). PFP will present at AGC Partners' 12th Annual Information Security Conference being held February 29-30, 2016. AGC's information security conference is being held in conjunction with the annual RSA 2016 security conference at Moscone Center in San Francisco. PFP Cybersecurity is proud to announce that it has been selected as a Security Innovation Network™ (SINET) 16 Innovator for the second year running. PFP Cybersecurity and Xilinx hold a joint booth at the IoT Solutions World Congress to showcase eMon's ability to monitor and detect attacks in FPGAs and IoT systems. PFP Cybersecurity exhibits at Black Hat 2015 to showcases live demos for eMon and P3Scan. Gartner Selects PFP Cybersecurity as One of a Few "Cool Vendors in Cloud Security Services, 2015"
PFP Cybersecurity is honored to be announce as one of a few "Cool Vendors in Cloud Security Services, 2015" by Gartner. NetworkWorld Selects PFP Cybersecurity Among "10 Young Security Companies to Watch in 2015"
PFP Cybersecurity has been selected as one of "10 Young Security Companies to Watch in 2015" by NetworkWorld. PFP Cybersecurity is excited to announce that it has been selected as one of “20 Startups To Watch In 2015” by DARKReading. PFP Cybersecurity is excited to announce that it has been selected as a Security Innovation Network™ (SINET) 16 Innovator. As a member of this honorary group, PFP will present to some of the world's top cybersecurity industry representatives at the SINET Showcase 2014 event on December 4, 2014 at the National Press Club in Washington, D.C. SINET is an organization focused on advancing cybersecurity innovation through public-private collaboration. PFP Cybersecurity announces the appointment of Gordon England, the 29th Deputy Secretary of Defense, to its Board of Directors. Mr. England previously served as the 72nd and 73rd Secretary of the Navy and as the first Deputy Secretary of the Department of Homeland Security. PFP Cybersecurity is proud to announce that it is a sponsor of the 2014 Industrial Control Systems (ICS) Cyber Security Conference, held October 20 – 23, 2014 at the Georgia Tech Hotel and Conference Center in Atlanta, Georgia. Now in its 12th year, the conference is the foremost and longest-running cyber security-focused event series for the industrial control systems sectors and will cater to the energy, utility, chemical, transportation, manufacturing, and other industrial and critical infrastructure organizations. PFP was selected to participate in the Industrial Control Systems Joint Working Group (ICSJWG). The meeting brings together asset owners and operators, government professionals, vendors, systems integrators and academic professionals to discuss the latest initiatives impacting critical infrastructure security and address the risk of threats and vulnerabilities to their systems. Dr. Reed has been appointed to Commerce Spectrum Management Advisory Committee (CSMAC), which provides advice and expertise on a wide-range of spectrum policy and technical issues.Committee members, appointed by the Secretary of Commerce for two-year terms, will provide the Assistant Secretary for Communications and Information with advice and recommendations aimed at strengthening the U.S. global leadership role in wireless technology services and innovation while supporting the country’s homeland security, national defense, and other critical government missions. PFP presented “Detecting Zero-Day Attacks in Real Time on Day Zero, Industrial Device Integrity Assessment – Hardware, OS & Software Malware Detection” at the ISA Cybersecurity Conference. Thurston Brooks presented the Power Fingerprinting approach, discussed its use for PLC protection, and reviewed testing at Savannah River National Labs. The co-located ISA Cybersecurity Conference has experts on hand to discuss the cybersecurity of operations and industrial networks. Mr. Steven Chen has been selected as a mentor and advisor to the next generation of security startup founders at Mach37, a vertical accelerator focused on information security product companies. Twice a year, Mach37 invests in a class of 610 security startups, each of which participates in an intensive 3 month program of coaching and validation of their products and markets, culminating in a Demo Day presentation to investors. Dr. Mark (Mohammad), PhD renowned expert in supply chain cyber security has joined PFP as a Advisory Board Member. He is a Charles H. Knapp Associate Professor, University of Connecticut, ECE Department. PFP Cybersecurity exhibited its technology at the 2014 Cybersecurity Innovation Forum in Baltimore. MD. The event is sponsored by the National Cybersecurity Center of Excellence (NCCoE) with the Department of Homeland Security, the National Institute of Standards and Technology, and the National Security Agency as primary participating organizations. Power Fingerprinting, Inc. received the First Price in the Safety and Security Category in the 2013 Create the Future Design Contest. The submission title is "Power Fingerprinting Monitor: Protecting Critical Infrastructure from Cyber Attack". The Create the Future Design Contest is an annual event first launched in 2002 by the publishers of NASA Tech Briefs magazine to help stimulate and reward engineering innovation. More than 8,000 product design ideas from engineers, entrepreneurs, and students worldwide have participated. Power Fingerprinting, Inc. has been awarded a Phase II SBIR grant from the National Science Foundation for the proposal titled: “SBIR Phase II: Cyber Security Monitoring for Critical Embedded and Wireless Systems Using Power Fingerprinting”. The PI for this project is Dr. Carlos R. Aguayo Gonzalez. Public information related on the award can be found on the NSF website. Power Fingerprinting, Inc. has been selected selected from nearly 200 diverse start-ups from across the region to present on stage at the TechBUZZ Georgetown at Georgetown University on September 13. Our company will present our cyber security and intrusion detection technology in front of an audience of investors, technology executives, and fellow entrepreneurs. Power Fingerprinting, Inc. has been awarded a Phase II SBIR contract from the U.S. ARMY RESEARCH DEVELOPMENT AND ENGINEERING COMMAND for topic A11-138: “Cyber Supply Chain Risk Management”. The contract is issued by the U.S. Army Space & Missile Defense Command/Army Forces Strategic Command and the PI for this project is Dr. Carlos R. Aguayo Gonzalez. David Talbot features Power Fingerprinting in computing news for MIT Technology Review. “This is the first technology we’ve looked at that has a different approach in looking at the power signature instead of scanning for viruses.” - Joe Cordaro, an advisory engineer and expert in nuclear instrumentation and process control. Power Fingerprinting, Inc. has received an investment from Virginia's Center for Innovative Technology GAP Fund. The investment will be used for further development of Power Fingerprinting's integrity assessment technology to detect security threats in critical embedded systems. Power Fingerprinting, Inc. has been awarded a Phase I STTR grant from the National Science Foundation for the proposal titled: “STTR Phase I: Security for Wireless Devices: Security Monitoring and Intrusion Detection in SDR and CR Using Power Fingerprinting”. The PI for this project is Dr. Carlos R. Aguayo Gonzalez and the partner research institution is Virginia Tech. Public information related on the award can be found on the NSF website. Power Fingerprinting, Inc. has been awarded a Phase I SBIR contract from the US AIR FORCE RESEARCH LABORATORY for the proposal titled: “Active Software Defense to Reduce Threat Capability Effectiveness”. The contract is issued by the Sensors Directorate and the PI for this project is Dr. Carlos R. Aguayo Gonzalez. Power Fingerprinting, Inc. has been awarded a Phase I SBIR contract from the U.S. ARMY RESEARCH DEVELOPMENT AND ENGINEERING COMMAND for the proposal titled: “Cyber Supply Chain Risk Management”. The contract is issued by the U.S. Army Space & Missile Defense Command/Army ForcesStrategic Command and the PI for this project is Dr. Carlos R. Aguayo Gonzalez. Power Fingerprinting, Inc. has been awarded a Phase I SBIR grant from the National Science Foundation for the proposal titled: “SBIR Phase I: Hardware-Assisted Security Monitoring for Embedded and Wireless Systems Using Power Fingerprinting”. The PI for this project is Dr. Carlos R. Aguayo Gonzalez. Public information related on the award can be found on the NSF website.